Team Ascot takes on the Royal Marines Bootcamp Challenge! 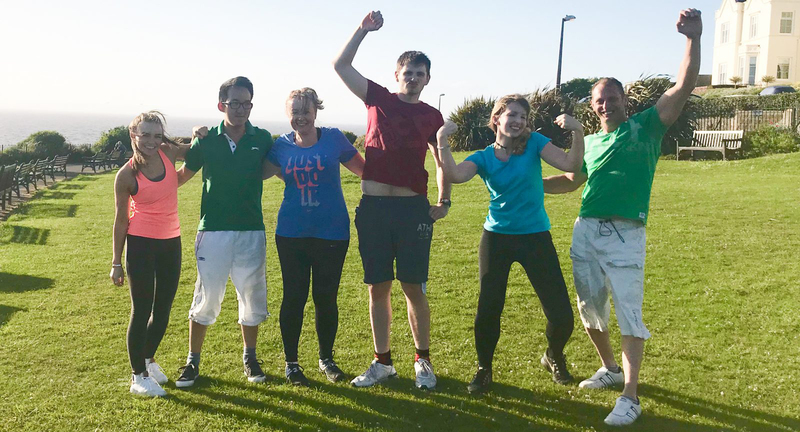 On Saturday 30th June, volunteers from the Ascot team will be taking part in the Royal Marines Charity Bootcamp Challenge! The challenge is being run by physical training instructors from the commando training centre, this will give our team at The Ascot Group a taste of what the Royal Marines Course is really like. Because of the intenseness of the challenge, 4 weeks prior to the event the team has had weekly training sessions with a local P.T in order to prepare for some of the tough royal marine style assault courses they’ve got to come! Training Session @ Prince Consort Gardens, Weston-Super-Mare:Stephanie, Stephen, Helen, Aaron, Melissa & Mike. With just ONE training session left before the big day, it seems as if Team Ascot are ready and raring to go. It’s going to be a fun day for a fantastic cause and we hope everyone enjoys it!